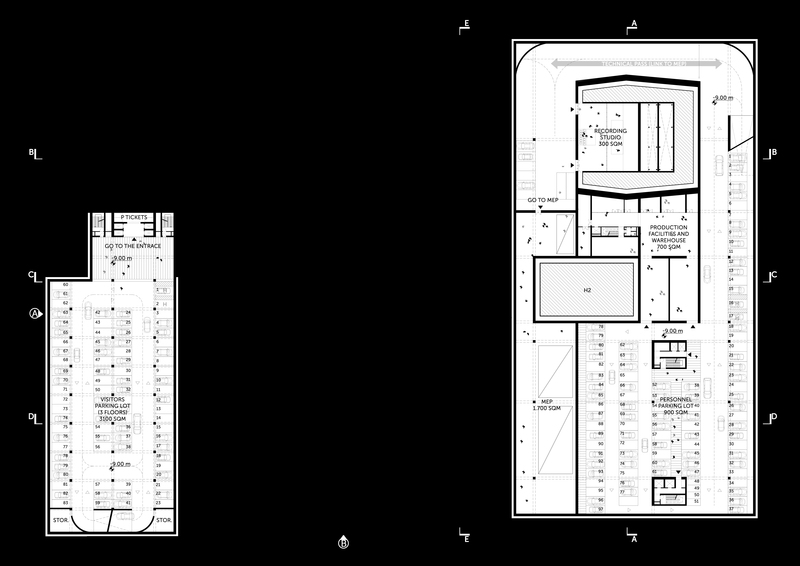 The project area needs to be physically and functionally reconnected to the City, moving from a NON-PLACE (detached from the surrounding, no easy access, no designed green spaces, no attractive functions, the back side of the buildings is not valued) to a URBAN PLACE . 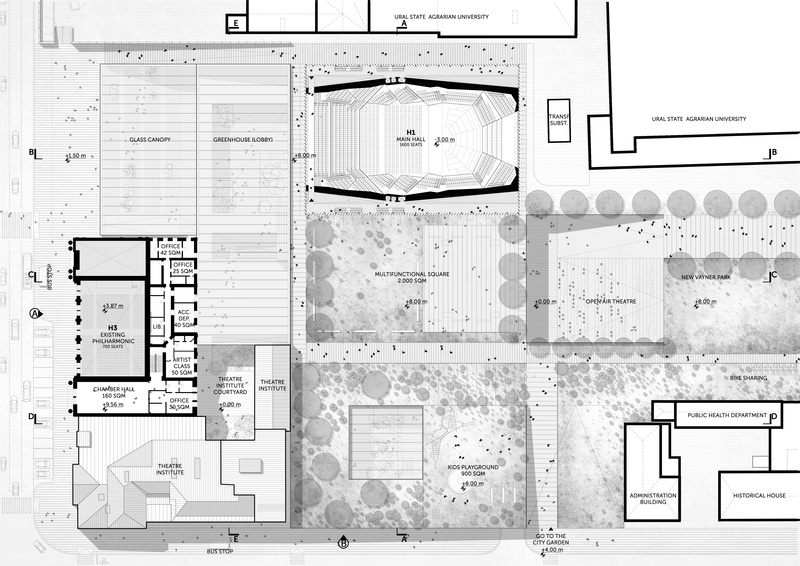 But how it would be possible to transform an inactive monofunctional space, a NON-PLACE , into a DESTINATION PLACE ? 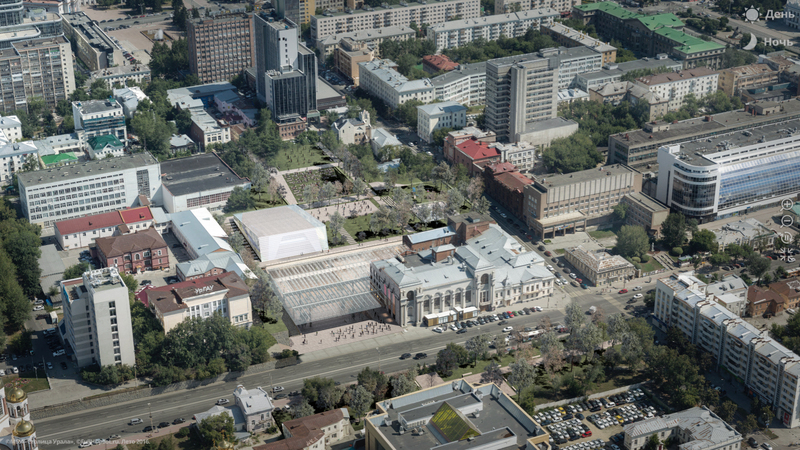 The strategy is to combine the three city systems of the neighborhood into a new music district through three simple actions: allowing the urban fabric to enter the site, outlining the main paths and access, and involving the Existing Philharmonic;designing a permeable public green park, able to restore the natural aim of the site; inserting a new urban attractive landmark. 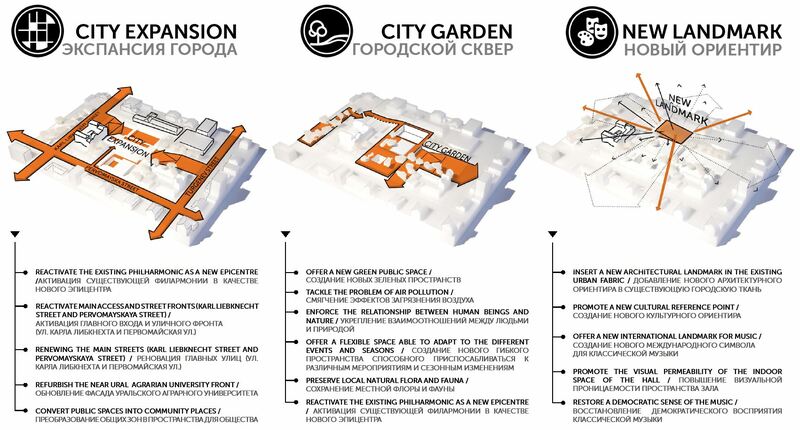 The site area becomes a piece of the city involved in the urban dynamics with a strengthened recognizable attitude. How is it possible to make the three different systems working together to promote a regenerative process? The new urban aim of the project determines its genesis by overlapping layers, preserving their peculiarities, but intertwining in a unitary organism. The City Garden at the rooftop level enforces the relationship with the natural landscape, accessible from each side of the project area. The urban paths flow at the ground level, keeping it completely open to the public. 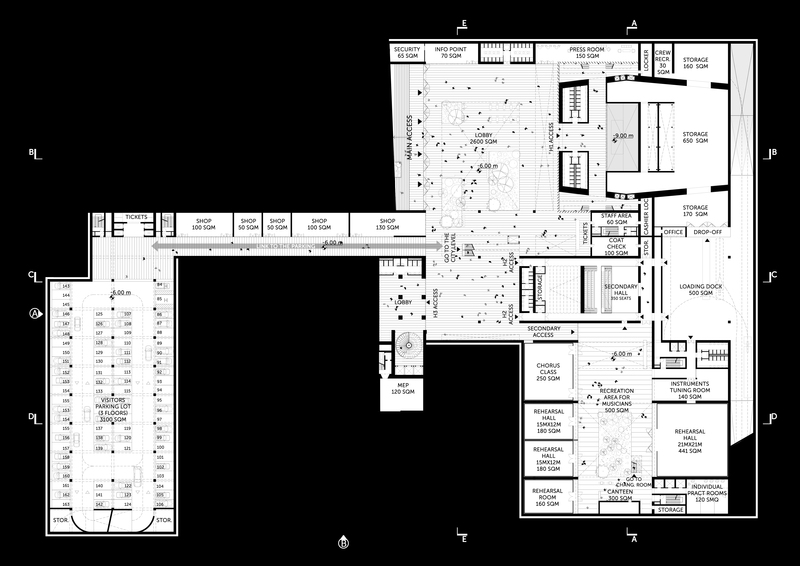 The Lobby is placed at the underground level, and becomes the central space connecting the three Halls. 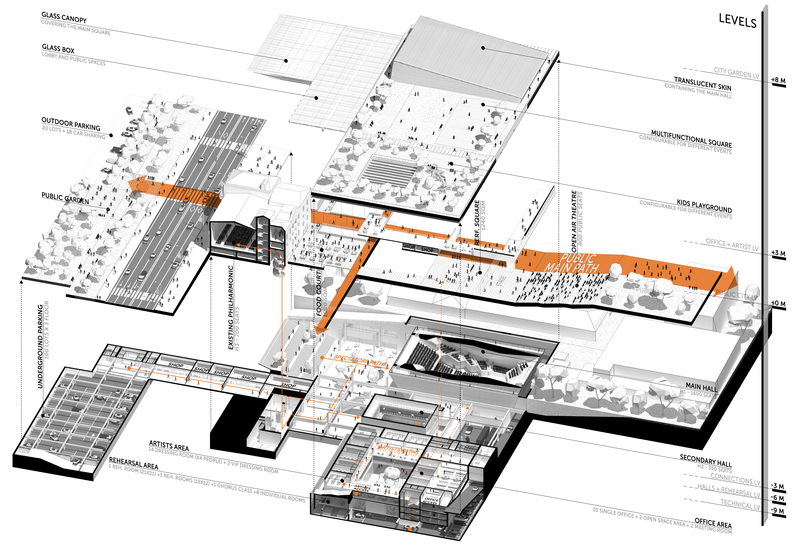 The design process of stratification needs a clear hierarchy of the volumes and open spaces, where a connecting element of the different functional layers will be able to promote the regeneration of the site and extending it to the surrounding urban area. the future. 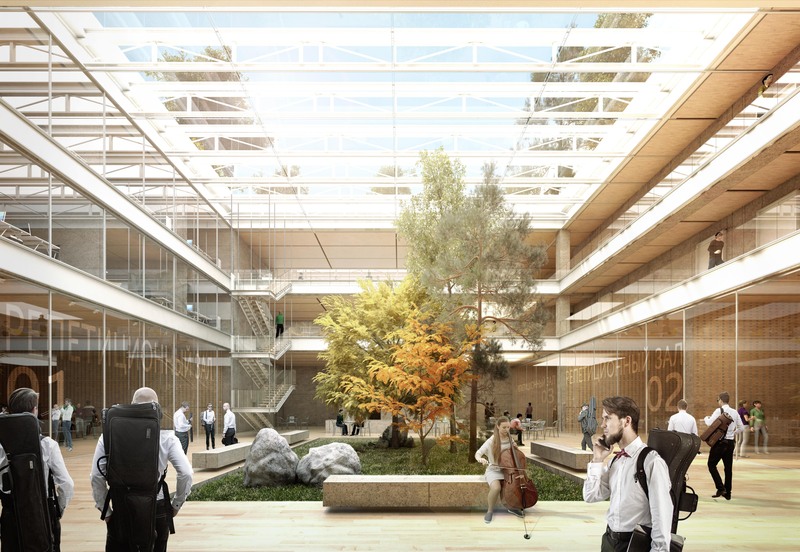 It is a new epicenter, visible from all the levels, both from the inside functions and outdoor spaces, acting as a characterizing and redeveloping element of the area. Today, fewer and fewer people are going to attend concerts or live shows, due to the busy life and the lack of free time for personal passions. 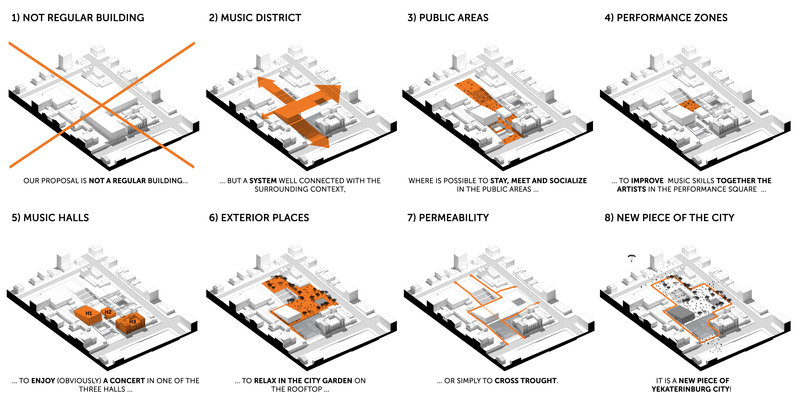 The Music District proposes an urban place ready to welcome not only the spectators, but to involve especially the visitors crossing through the area, showing the musical spaces from everywhere to attract the citizens. 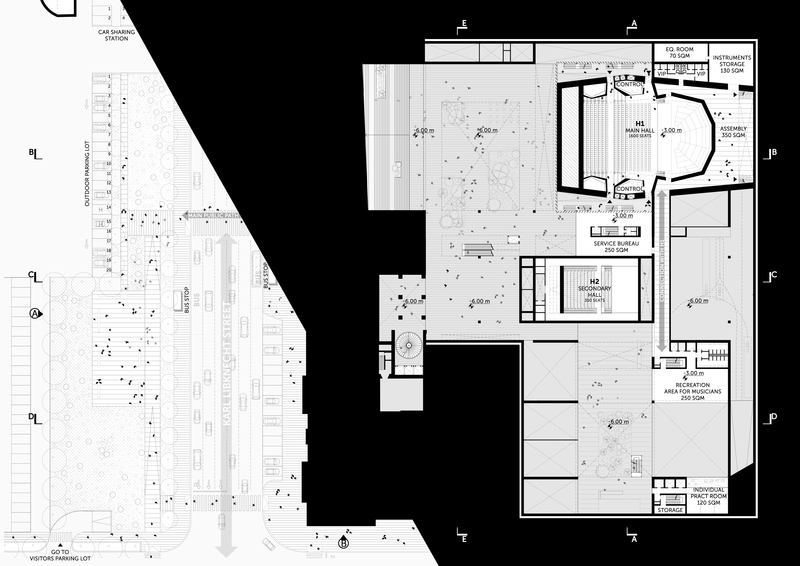 It is a space devoted to music, that shows its heterogeneous facets through very different spaces. 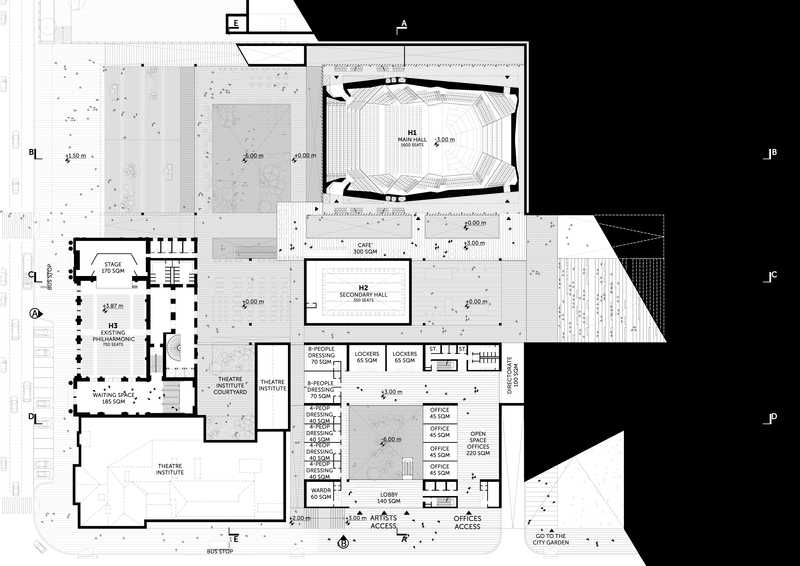 People can share the musical experience together in the Main Hall or in the flexible one, in the Outdoor Theater or in the Performance Square enforcing the relationship between musicians and people. 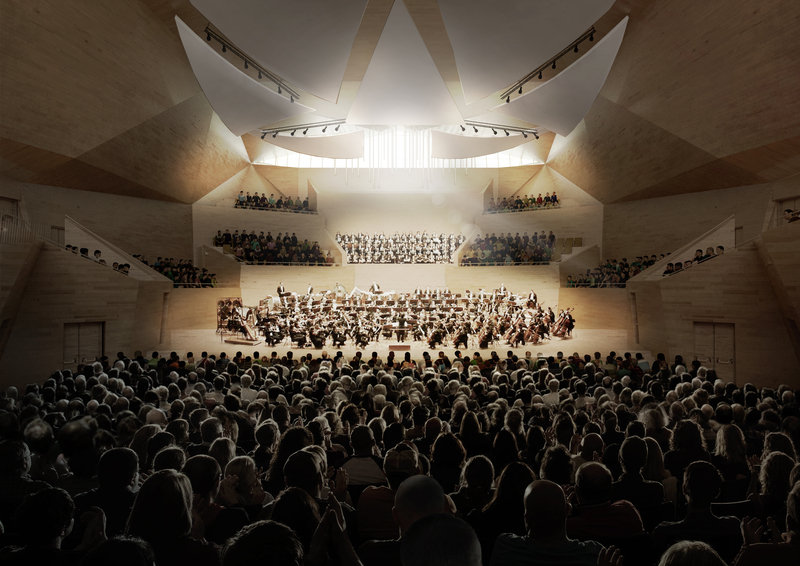 This is not just an unchangeable building, but the natural extension of the dynamic urban surrounding, able to embrace people allowing to get away from everyday life in favor of music. Collaborators: Luna Artoul, Michael Birman, Yamil Alejandro Ini, Roberta Menaguale, Anastasiia Orlova, Chiara Segatori.